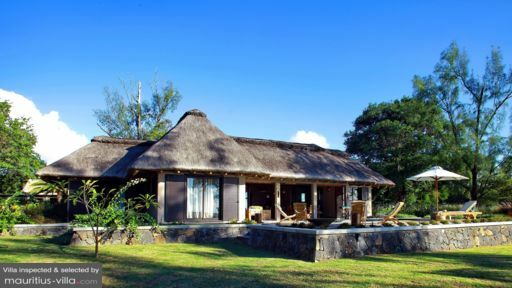 Villa Salines Beachfront is a four bedroom tropical haven situated on the south western coast of the Riviere Noire on the island of Mauritius. It is a serene luxurious spot near the sea and amidst lush green surroundings. With a private pool, wide verandah, an open plan living area, and friendly staff, you’ll have a memorable holiday with your family and friends here at Villa Salines Beachfront. What better way to spend your evening than by plopping down on a plush bed in the villa’s master bedroom. This comfortable bed will ensure that you get a full night's sleep. In the mornings, you can wake up and enjoy the breeze from the sea-facing verandah. Then take a shower in the private en-suite bathroom where you can enjoy great amenities, including a walk-in wardrobe. There are three guest bedrooms here at Villa Salines Beachfront. Each has a comfortable bed suited for different people. The second bedroom has twin beds joined to create a double bed. The third bedroom has a queen size bed and the fourth room has two single beds. Two of the rooms come with en suite bathrooms. No matter where you decide to sleep, each room is perfect for resting after a full day of fun activities. 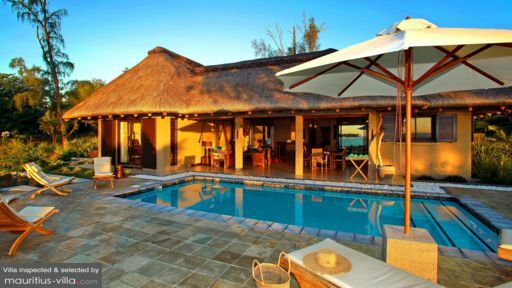 What is most stunning about this villa is its natural surroundings. While there are a variety of plants, trees, and shrubs around, the sea is also nearby. You’ll feel like you’re living in a tropical paradise. In the evenings, you can watch the marvellous sunset on one of the various loungers or chairs on the verandah. You can also have a barbecue party with friends and then eat in the outdoor dining area after cooking. In the morning, do some laps in the private swimming pool and you will feel refreshed and ready to conquer the day. The expansiveness and calm of Villa Salines Beachfront’s outdoor space doesn’t stop there. You will find that the villa’s living area is an extension of that tranquility, with beautiful wooden furnishings and an open plan design. Here the sea breeze can waft in from the sliding doors in the evening or mornings. The dining area comfortably seats six to eight people, while the lounge has couches you won’t want to get up from. In the lounge you can also sit back and watch TV on the 40-inch LCD screen. You can also have a movie night with your family, with all your favorite snacks. There is also a fully equipped kitchen with access to the laundry room and terrace. Here you can create delicious meals for the whole family to enjoy. What makes a holiday a special experience? Beautiful surroundings and comfortable spaces are a big part that but top it off with friendly and accommodating staff and you won’t ever want your vacation to end. Here the staff will make the villa feel like a home away from home, with a variety of amenities to boot such as: daily housekeeping, security detail 24 hours a day, WIFI, and personalised service. Want to get even more out of your experience here? There are a few services that you can avail of for additional costs, such as car rentals. 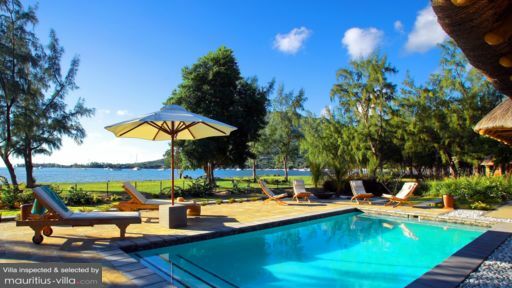 Villa Salines Beachfront is located in one of the most serene and gorgeous areas on Mauritius: on the south western coast of the Riviere Noire. This area is teeming with adventures for the nature-loving kind: swim with dolphins, catch some fish, and go diving in a fascinating underwater ecosystem. Most of these are only a 5 to 20 minute drive away from the villa. For the family members who always want to get their golf fix, you won’t have to worry, two courses are a 15 minute drive away. Also within the villa’s area are some shopping areas such as the Riverview Commercial Centres.